My new book is now available. There are links to where you can buy it from at the related blog here. It's RRP is £50 but I've seen it for as little as £37.50 already. 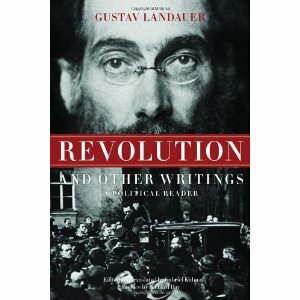 This book is as much my journey into anarchism as anything and it's how I got started on Christian anarchist dialogue. I was writing a PhD on Dalit theology with a supervisor with expertise in postcolonialism and the Bible. The more I looked at Indian liberation theology the more two important questions presented: Why has liberation theology stalled? 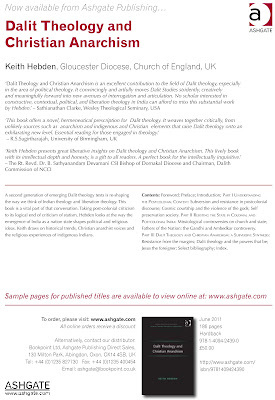 What is a western response to all these theologies from the margins? As a white, western, privileged man I found most of my answers to these to questions in the radical theology of the anarchists and the historic peace Churches. I think it's a unique contribution but I hope it's a helpful one. Susan Clarkson, Martin Newell, and Chris Cole are three Christian peace activists, part of the Catholic Worker movement in the UK. 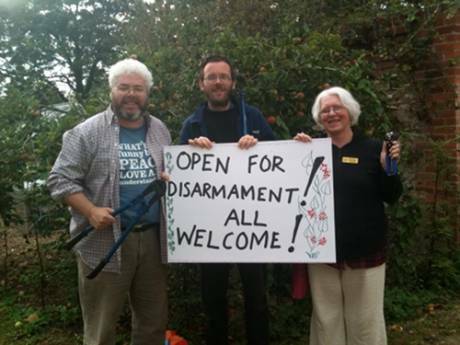 They will be in court on Tuesday 24 May from 9:30 at Newbury Crown Court to face trial for an action last September, whereby they cut a hole in the fence at AWE nuclear weapons factory and proclaimed it "open for disarmament." The Catholic Worker movement is made up of Christians committed to Jesus' radical call to peacemaking, and live this out by acts of community, solidarity with the poor, and nonviolent resistance. If you can't make it to Newbury on the day but would like to support them please join in this fast. How you take part in the fast is up to you. If you leave a message for them as a comment here the messages will be gathered up and given to them the day before the hearing. A few times I have written about Gustav Landauer at this spot - an anarchist who should not and cannot be overlooked in any discourse on religious anarchism. Unfortunately very little has been translated into English. 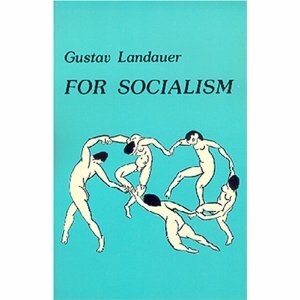 His most important manifesto (in my opinion), For socialism probably has been out of print for a while (don't let the cover fool you, or perhaps you would like to be fooled by it). Or maybe it can still be bought. For some months now there has been a reader around which might introduce the Anglophone world to his ideas: Revolution and other writings - a political reader, more about it here. Hopefully it will not take much longer before his mystical writings will be translated too (his mysticism can be found back in all his writings, though).